Visit the BaseballEvolution.com Fan Forum! October 2, 2014- 2014 National League Division Series Preview - Giants vs. Nationals - The Nationals finished the season with the National League�s best record and are the better team on paper. The Giants are battle tested and proven, having won the World Series in 2010 and 2012, not to mention seven straight elimination games in post-season play. September 29, 2014- 2014 National League Wild Card Game Preview - Giants vs. Pirates - The Pittsburgh Pirates have beaten San Francisco eight times in 13 tries the past two seasons, and are 14-11 overall against the Giants under manager Clint Hurdle. But these Giants boast loads of winning postseason experience and send a legitimate ace to the mound in Madison Bumgarner. March 31, 2013 - Richard's 2013 Predictions - Rich considers the big-spending Indians and Blue Jays to be eventual division champions, but it is Toronto holdover Jose Bautista who will lead his new-look squad to their first World Series appearance in 20 years. This contrasts with his view of the NL, which he figures to unfold much the same as last season. The Dodgers replace the Cardinals as the second Wild Card team, but the Giants head back to the promised land. March 31, 2013 - Keith's 2013 Predictions - Keith is of the opinion that the two blockbuster trades consummated by the Arizona Diamondbacks will benefit all of the teams involved - Cincinnati, Cleveland, and Atlanta - but none more so than the D-backs themselves. He also likes their mini-trade partner, the Oakland A's, to repeat in the AL West behind a strong comeback campaign from Brett Anderson, only to meet their usual fate in the playoffs. 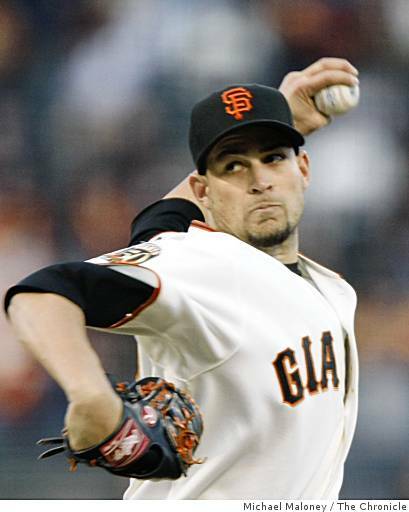 March 30, 2013 - San Francisco Giants Team Preview - Find out why Richard believes that the San Francisco Giants are primed to repeat as World Series Champions and become the first-ever National League team to win the World Series in three out of four years. The results are in for the 2013 Hall of Fame voting. In the first ballot to prominently feature players implicated in PED scandals, no one reached the 75% mark necessary for election, with Craig Biggio coming closest at 68.2%. Fittingly, with all of the ethical issues surrounding the so-called steroid scandal, the one player who will be enshrined in 2013 is a Deacon. Deacon White, a 19th-century player who excelled offensively at two demanding defensive positions, was a unanimous selection for the Baseball Evolution Hall of Fame in his second year on the ballot and gains enshrinement to Cooperstown in 2013 after a special election. 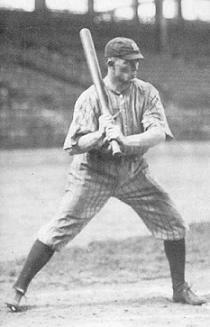 White played catcher barehanded in the early years of his career and is credited with pioneering the use of a catcher's mitt and other protective equipment for backstops. August 24, 2012 - Tigers Still Favorites? After the Detroit Tigers paid a ludicrous amount of money for the services of Prince Fielder, they were almost unanimously crowned as champions of the AL Central Division even though they had yet to win a single game. They haven't spent significant time in first place all season, and yet this attitude remains prevalent. 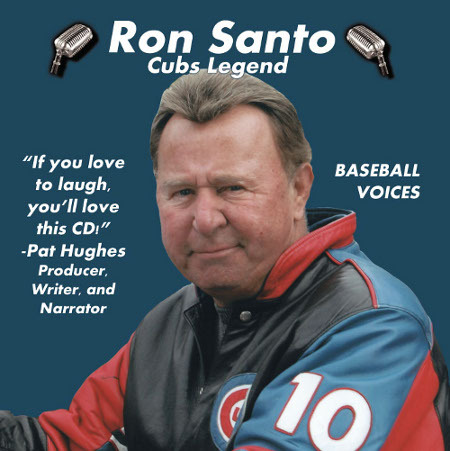 July 23, 2012 - Top 15 Not in Cooperstown - Ron Santo and Barry Larkin have now officially joined Cooperstown's hallowed ranks. Larkin's induction speech spent a lot of time discussing Pete Rose, who managed the spectacular shortstop in his rookie season, without openly lobbying for his inclusion in the Hall of Fame. While Rose, Shoeless Joe Jackson, Greg Maddux, and Alex Rodriguez all rank among the greatest players who have not been enshrined, none of them are currently eligible for admission. So, then, who are the top eligible players who have not gotten the call to Cooperstown? 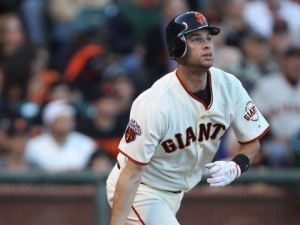 April 3, 2012 - San Francisco Giants Preview: Cain They Score Enough? 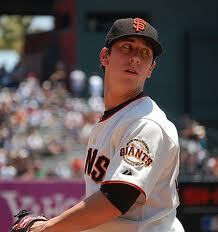 - The Giants� quest for back-to-back World Series Championships in 2011 was derailed on the night of May 25. Without Buster Posey in the middle of their lineup, coupled with injuries to several other vital players as well as subpar performances from other key veterans, the Giants struggled to score runs, as they saw just 570 runners cross home plate, or just 3.52 per game. Only the Seattle Mariners offense floundered more than San Francisco�s. Can this offense rebound in 2012? 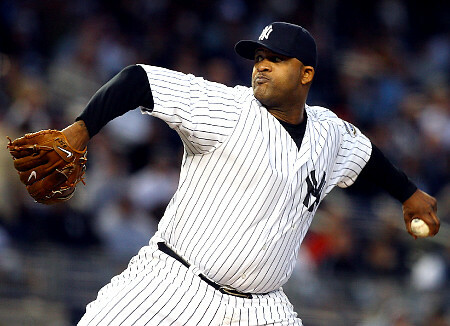 March 4, 2012 - Splitsville: Ruth vs. Relievers - A reader's email regarding Tony's 2006 article comparing Babe Ruth to Ted Williams prompted more nostalgia: a trip to Splitsville. Get the details on how the evolution of relief pitching may have affected the greatest hitters of all time. February 29, 2012 - Chicago White Sox Preview: We're All Out - The Chicago White Sox are a 79-win team that has lost its leadoff hitter, ace, closer, and second-best slugger. Their biggest offseason acquisition was Kosuke Fukudome. They have the worst farm system in all of baseball and a major league payroll - replete with unmovable contracts - that exceeds their revenue. It's a really bad time to be a Sox fan, and when the going gets tough, Sox fans get going. February 20, 2012 - Kansas City Royals Preview: Forward to the Past - For the past year or so, major news outlets have jumped on the Kansas City Royals' 2013 bandwagon. That is, they've put out articles pontificating how the Royals will win the 2013 World Series due to their well-stocked farm system. Are these assertions valid, or are the Royals doomed to continue their 20-plus year stretch of being a second-division team? February 4, 2012 - Cleveland Indians Preview: Counting Coup - The Cleveland Indians went 32-20 in the first two months of 2011, then a mere 48-62 the rest of the way. The resulting 80 victories actually outperformed their Pythagorean expectation by five wins. A 38-year old pitcher who led the NL in losses and posted an ERA over 5.00 represents their most notable offseason acquisition. So why are these Indians a great darkhorse pick to win the AL Central? January 27, 2012 - Detroit Tigers Preview: The Prince and The Paupers - With the Detroit Tigers spending $214 million to bring Prince Fielder into their lineup, the divide between the haves and the have-nots in the American League Central becomes even more clear. But the signing, ostensibly a response to losing Victor Martinez for the season to a knee injury, will have disastrous repercussions for the future of the Detroit franchise. In 2011, the Detroit Tigers, Chicago White Sox, and Minnesota Twins each had payrolls over $100 million while the Cleveland Indians and Kansas City Royals were south of $50 million on their ledgers. After disappointing 2011 campaigns, the Sox and Twins have slashed payroll, leaving the Tigers alone as the big spenders in the division. 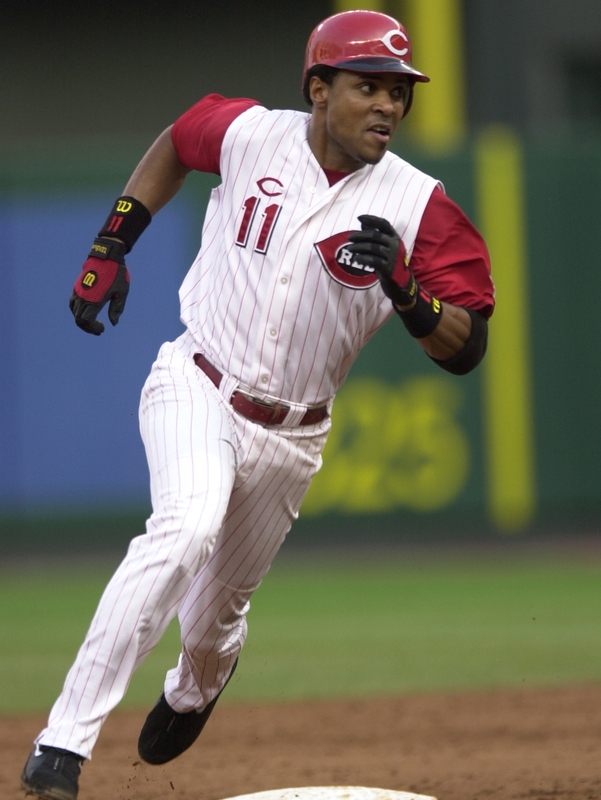 January 9, 2012: Larkin Heads to Cooperstown: Today, Cincinnati Reds shortstop Barry Larkin joined Chicago Cubs third baseman Ron Santo as players inducted to the 2012 class of the National Baseball Hall of Fame. 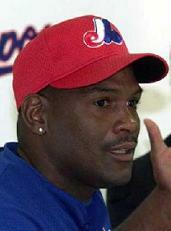 Both Larkin (2010) and Santo (2006) gained entry into the Baseball Evolution Hall of Fame in their first year of eligibility. 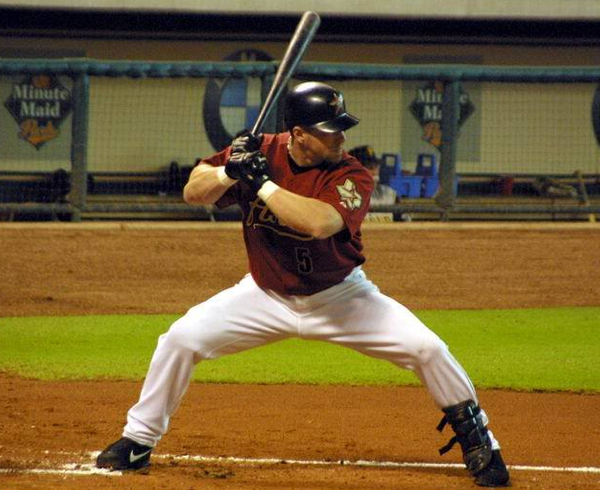 Jeff Bagwell increased his voting percentage from 41% in 2011 to 56% in 2012, his awesome lifetime numbers offsetting the controversy of his era. Jack Morris, who received two-thirds of the vote up from 53.5% last year, has two more seasons of Hall of Fame eligibility. His lackluster career numbers are being offset by feel-good intangibles. 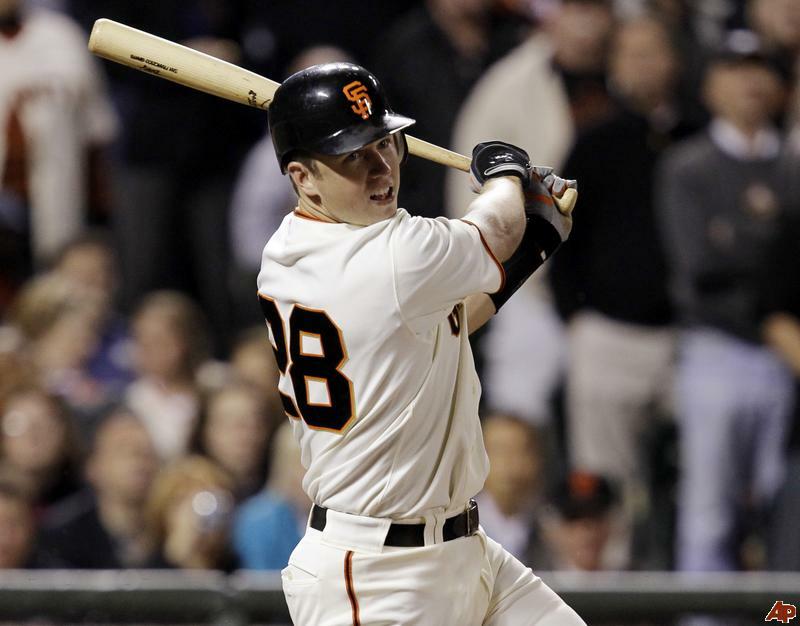 The 2011 Giants: Defending the Title - Rarely do teams have a chance to do what the San Francisco Giants had a chance to do last season, which was to repeat as World Series Champions. The colorful Band of Misfits, that together had accomplished what no one else believed they could, had returned almost entirely intact and no one else in the NL West appeared to be an insurmountable threat. It was easy to be optimistic in April, but things soon changed. Richard thoroughly dissects what went right and what went wrong in 2011 before suggesting what to do next for 2012. 2011: The Year of the Comeback - Jacoby Ellsbury and Lance Berkman were both very deserving of the Comeback Player of the Year Awards they received last week, but they had more competition than you may realize. The 2011 season saw the largest field of Comeback Award-worthy players in recent memory, led by NL MVP favorite Matt Kemp. 2011 NLDS Preview: Arizona Diamondbacks vs. Milwaukee Brewers - The Milwaukee Brewers won their first division title in 29 years. The Arizona Diamondbacks had a .424 winning percentage in their last 465 games before winning a division title this season. Clearly, this is a matchup of two of the more unlikely division champs in the annals of baseball. Both teams have a good balance of offense versus defense. Both teams have been incredibly good in one-run games. Both teams benefit greatly from having their fifth starter made irrelevant by a five-game series. Both teams have a dominant back-end of their bullpen. Neither team has a wealth of postseason experience. So who the heck comes out on top? 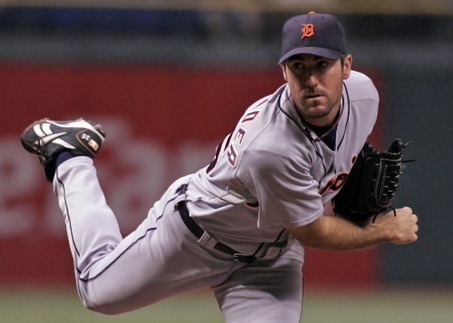 2011 ALDS Preview: Detroit Tigers vs. New York Yankees - Two months ago, the Detroit Tigers were a running joke. At six games over .500, the Tigers figured to get beaten down in the postseason should they hang on to win the AL Central. After going 38-16 in the final two months of the season, Detroit has become the chic pick to represent the American League in the World Series. Somewhere along the way, it's been lost that the New York Yankees have averaged over 98 wins per season over the past three years and don't get the chance to beat up on weak AL Central teams the way that the Tigers do. The Yankees need to be considered the favorites to win the American League Championship, not the Tigers. 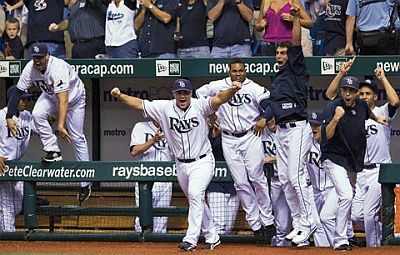 2011 ALDS Preview: Texas Rangers vs. Tampa Bay Rays - This time last season, the Tampa Bay Rays were the best team in the American League and hosted an upstart Texas Rangers ballclub that only made the playoffs by virtue of playing in baseball's second-weakest division. Keith predicted the Rays to sweep, but the Rangers took the series in five games. This year, it is the Rays who only make the postseason thanks to an historic Red Sox collapse and a Yankees team that had nothing to play for in the final game of the season. Does the underdog win again, or does Texas just have Tampa's number? It�s Time to Send a Message - The opportunity to repeat as World Champs doesn�t come around every day and the San Francisco Giants� chances are slipping away, not by the day or even by the inning, but lousy at-bat by lousy at-bat. Hitting slumps are said to be contagious, but this is getting ridiculous. Something needs to be done and a message needs to be sent. Here�s how you do it. Jose Reyes = Repeat - Rarely do teams have a chance to do what the San Francisco Giants have a chance to do this season, which is to repeat as World Series Champions. Richard has come up with a surefire way for an injury-plagued Giants squad to do just that. Despite the loss of catcher phenom Buster Posey, San Francisco has enough talent to go out and acquire another impact player: New York Mets shortstop Jose Reyes. Last season, the staff of BaseballEvolution.com was all about the Atlanta Braves, a team that hadn't made the playoffs in four seasons. Those Braves reached the postseason before losing to the eventual World Champs. This year, Baseball Evolution is bigtime-backing the Oakland A's, another squad that hasn't seen the postseason in four years. Should we therefore expect the A's to excel this year? Given some of the other great picks by the staff last year, it's a good bet. Scott was correct when he predicted that the Rangers would win their division and that James Shields would lead the AL in hits allowed. Asher nailed exact win totals for both the Mets and the Cubs and foresaw Felipe Lopez winning the Alex Gonzalez of the Marlins Award. As you might expect, Richard picked the Giants to make the postseason and their closer to lead all of baseball in saves. Keith didn't let Joe Nathan's injury deter him from selecting the Twins as AL Central champs nor the Marlins' defense deter him from picking Josh Johnson as the NL's ERA leader. On the other hand, Keith is the one who overestimated Adam Lind's batting average by nearly a hundred points and Everth Cabrera's stolen base total by 45. 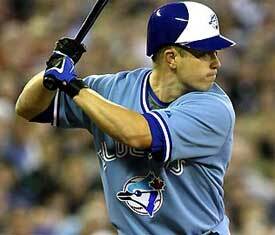 Scott had Aramis Ramirez leading the NL in batting average and the Giants winning just 75 games. Richard didn't select a single correct division winner, and Asher made us all laugh by picking the Mariners and Diamondbacks to win the two West divisions. Still, when these bold prognosticators all agree on something, it's worth taking note. Peruse the most comprehensive baseball prognostications you'll find anywhere and look forward to an Oaktown October! We do have one dissenting viewpoint to offer; Karl believes that the Texas Rangers will the AL West for the second year in a row. The Philadelphia Phillies have been the talk of Major League Baseball ever since they pulled off a coup and signed Cliff Lee out from under the Texas Rangers and New York Yankees. But as the wheels start to come off the bus a little in Philly, the NL East suddenly looks like it might be up for grabs, and surprisingly, the Florida Marlins might be the team in the best position to take advantage. There can be no doubt that if everything goes as planned, this is going to be an exciting team in 2013, and will in all likelihood be the team to beat in the NL East, if not in the entire National League. Nevertheless, while there is a chance that the Nats will look good in 2012, when Stephen Strasburg returns from injury and Bryce Harper starts making the case for his spot on the big club, there is absolutely no chance of excitement for this squad in 2011. While they may not finish in last place � this is the division with the New York Mets after all � a shot at the playoffs is just going to be too much to ask from this squad. 2011 Oakland A's: Dangerous If Healthy - For the second consecutive offseason, the Oakland Athletics were rebuffed in their overtures towards free agent third baseman Adrian Beltre, who spurned the Athletics' advances in order to sign a six-year, $96 million deal with their division rivals in Texas. Nevertheless, and perhaps because of it, the A�s had a successful offseason. In fact, Oakland could be the team that unseats Beltre's Rangers for the AL West crown. February 21, 2011 - Cubs/Orioles Preview - Mirror, mirror... The Baltimore Orioles were 32-73 (.305) before Buck Showalter took over as manager and finished the 2010 season 34-23 (.596). 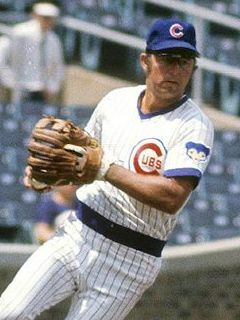 The Chicago Cubs were 51-74 (.408) before Mike Quade took over as manager and finished the season 24-13 (.649). The Orioles showed a little more improvement, but the Cubs were better overall. After watching similar 2010 seasons productive winters unfold, the fans of the most popular team in the Beltway region and the fans of the most popular team in Chicagoland should be about as excited as each other about their 2011 prospects, right? Wrong. One team's fan base is far more optimistic about their team's chances in 2011, and it's not the one you'd expect. February 13, 2011 - LA Angels Preview: All's Wells That Ends Well... - Like the New York Yankees, the Los Angeles Angels of Anaheim had big plans for the offseason that never went into motion. They watched Carl Crawford, Jayson Werth, and Adrian Beltre opt to sign with other clubs, and as you might expect from a team that missed the postseason for the first time in four years and sported a losing record for the first time in seven years, they panicked, trading two serviceable players for the privilege of paying Vernon Wells $86 million dollars. The shocking part is not that the Angels are overpaying an outfielder; they do that all the time. What's shocking is that they could still be a very dangerous team despite this blunder. February 10, 2011 - New York Yankees Preview: All Good Things... - This offseason, the New York Yankees were supposed to reunite Cliff Lee with C.C. 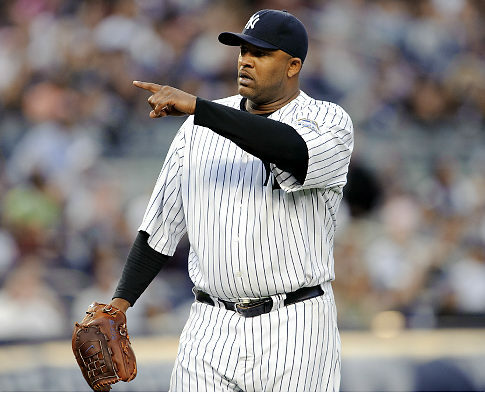 Sabathia and form the best left-handed pitching tandem in baseball. Not only did they fail to land Lee, but they lacked a Plan B and lost Andy Pettitte to retirement. The starting rotation behind Sabathia is now as thin as it has been since the days of Andy Hawkins. Could this be the beginning of the end for this Yankees dynasty? 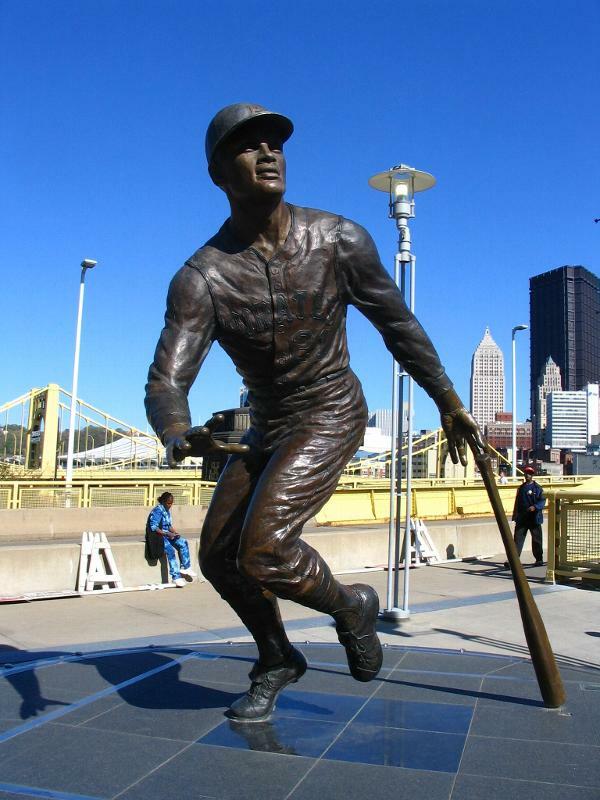 February 8, 2011 - Defiende Clemente - It's been a while since we posted a reader email on the site. What follows is a recent email on a not-so-recent article: Top 10 Reasons Why PNC Park Is Superior to Wrigley Field, something Keith wrote in the summer of 2006. Over the past four-plus years, that article has generated a decent amount of email, all of it from Cubs fans coming to the defense of their legendary ballpark. The following email, however, takes issue with something else in the article, and Keith offers up a balanced response. If the Cardinals do not sign Albert Pujols by February 18, he will become a free agent at the end of 2011. It's hard to believe that St. Louis would let him get away. But if they did, where would Pujols land? There is only one logical answer to that question, and Cardinals fans won't like it one bit. What happens when the Los Angeles Angels deal for the 4th-worst contract in Major League Baseball? Boneheaded analysis ensues. Asher takes an AP article detailing the three-player Vernon Wells trade to task, and the piece receives Baseball Evolution's first Boneheaded Sportwriter Award for the new year. 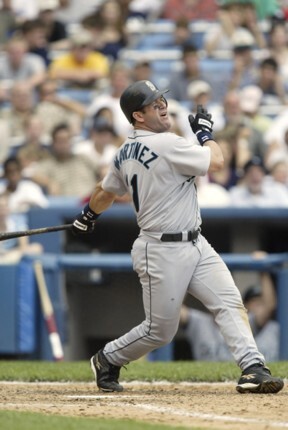 January 16, 2011 - The Alex Gonzalez of the Marlins Award - At the end of April, Alex Gonzalez of the Blue Jays was batting .289 with seven homers and 19 RBI. How could he not win his very own Alex Gonzalez of the Marlins Award, given annually to the player in each league who pulls the biggest Alex Gonzalez of the Marlins and sputters down the stretch after a hot start to the season? Well, AGotBJ did fail to win an AGotM, but through little fault of his own. A July trade complicated matters, and two utility infielder types epitomized the Gonzalez second-half collapse. January 4, 2011 - The Mark Redman Award - For those that are new to the Mark Redman Award, it is given annually to the pitcher in each league that most personifies crashing back down to earth after a strong start to the season. 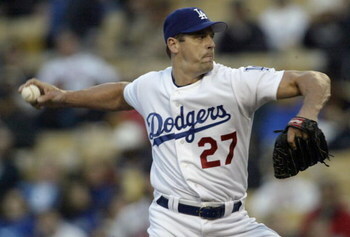 Mark Redman retired with a career 5.17 second-half ERA and 6.04 ERA after August. He also had the distinction of going 1-7 with a 7.08 ERA in the second half of 2005, then 5-6 with a 6.14 ERA after being named an All-Star in 2006. 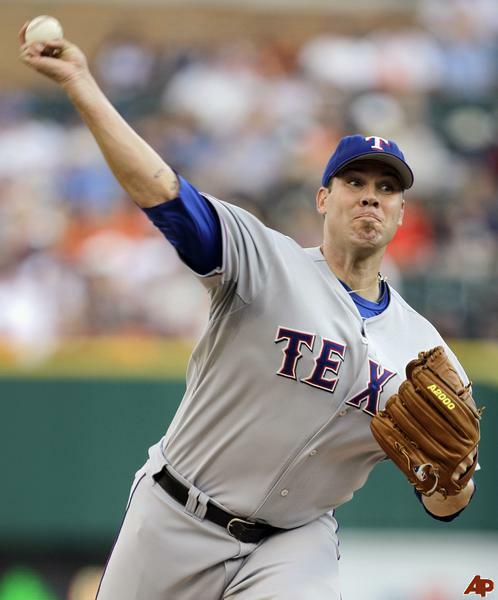 In 2010, Mark Redman may have been out-Redmaned by one American League pitcher. December 5, 2010 - Is The AL Central a Dunn Deal? 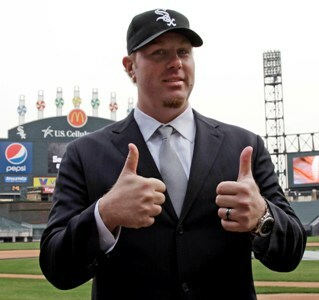 - The Chicago White Sox signed Adam Dunn to a four-year, $56 million deal on Thursday, netting the best free agent slugger before the winter meetings even began. The Dunner moves from a neutral stadium to the best ballpark for home runs in the major leagues. 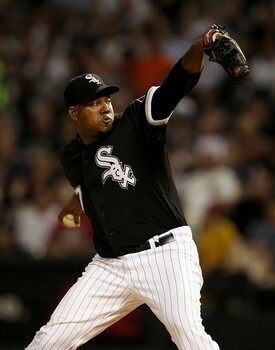 It's early, but does the Dunn signing make the Sox the team to beat in the AL Central? November 23, 2010 - Ranking MLB's Worst Contracts - With free agency season upon us, some players are going to get awarded long-term contracts that look really bad in a couple of years. Or in the case of Derek Jeter and the Yankees, a long-term contract that looks really bad right now. Fortunately, the Yankees already have a couple of terrible contracts in the books to deflect attention from what is awarded to Jeter. Here are the ten worst contracts in baseball. When did everyone start hating Jeter? Derek Jeter winning his fifth Gold Glove in recognition of his play at shortstop on Tuesday has caused quite the firestorm on both sides of the issue this week, with objective baseball fans lashing out as the notion that a bad defensive player would win a Gold Glove, and New York Yankees fans, predictably but understandably, fighting back in defense of their hero. "It's also hard for me to believe that anyone can criticize Jeter." After another fine season and trip to the post-season in 2010, Derek Jeter got a little more good news on Tuesday afternoon when it was announced that he'd received his fifth American League Gold Glove award in honor of his tremendous defensive play at shortstop. This award could not have come at a better time for the shortstop, as Jeter is a free agent and will soon be negotiating his latest, and potentially last, contract with the New York Yankees. And while there will be those who say that Jeter had a down year in 2010, and that he may be at the beginning of the down-side of his career, to this we say "hogwash." Derek Jeter proved once again in 2010 with not only his play but with his leadership and gamesmanship that he remains one of the elite players in Major League Baseball on both sides of the ball, and deserves to be paid like it. As baseball enjoyed its statistical revolution of the last 30 years, the Kingman analysis became greatly enhanced. To home runs and on-base percentage we were able to add runs created, OPS, OPS+, adjusted batting runs, WAR, and a host of other offensive statistics, to say nothing of the tacitly present defensive factor, measured by fielding runs, plus/minus, ultimate zone rating, and defensive WAR. Indeed, the statistical revolution has brought us into a new era of Dave Kingman analysis, which is really great, because there have certainly been seasons in which the Kingman candidates have abounded, and simple reference to home runs and on-base percentage haven�t given us the necessary information we�ve needed to parse the Pedro Felizes and the Chris Youngs. Where we�ve needed more, we�ve gotten it, as we discuss in our analysis of the 2010 Dave Kingman Award. 11/04/10: Cookie Monster Madness - The Boston Red Sox have made undoubtedly the most surprising pre-free agency move in the league today: They exercised their $12.5 million option on David Ortiz, an option which contained no buyout clause. Ortiz turns 35 this month, and have an RSL of .257/.356/.498 over the past three seasons, averaging 28 homers and 97 RBI per year. The move was likely made based on Papi's popularity and the fact that he went .286/.385/.558 this season after April ended. In a free agent class that will include Lance Berkman, Adam Dunn, Paul Konerko, Derrek Lee, Troy Glaus, Vladamir Guerrero, Hideki Matsui, Pat Burrell, Marcus Thames, Aubrey Huff, Russell Branyan, Adam LaRoche, Lyle Overbay, Carlos Pena, Manny Ramirez, and Jim Thome among first base/designated hitter types, it is very odd that the Red Sox would pay such a premium to keep a player who is barely in the upper echelon of that group. There will be some fantastic designated hitter bargains come January, and while the Sox certainly aren't penny-pinchers, they do need to spend money to fill other voids on their team. the solid-yet-unspectacular teams that most people anticipated. But the Rangers took steps to improve their pitching, the Giants took steps to improve their offense, and the result was two teams who were well-rounded enough to reach the postseason. Only one of them is good enough to be World Champs, and it's apparently going to take five games to determine which one. 10/19/10: Toe, Knee Pain? Yah. - This season, Tony Pena became the first pitcher since 2006 to start five or fewer games and still finish with 100 or more innings pitched for the season, according to the Baseball-Reference Play Index. This old school reliever usage may be detrimental to Pena. Each of the 10 pitchers used in such a fashion between 2001 and 2006 either got injured, became less effective, or fell out of baseball entirely soon thereafter. 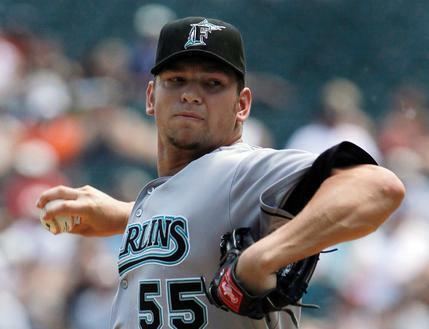 The list includes Scott Proctor and Hector Carrasco (2006); Scot Shields (2004); Steve Sparks, Guillermo Mota, and Jim Brower (2003); and Scott Sullivan, Octavio Dotel, Ramiro Mendoza, and Pat Mahomes (2001). 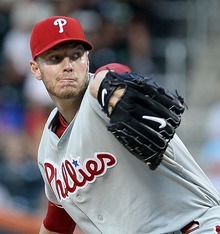 NLCS Previews - Phillies vs. Giants - Two of baseball's hottest teams square off in the NLCS this year. The Giants rode a 45-29 record in the second half and a 19-10 September record to overcome the Padres' early lead in the NL West while the Phillies went 50-25 in the second half and an absurd 23-7 in the final month of the regular season to finish with the best record in baseball. The series begins - and potentially ends - with one of the best postseason pitching matchups our generation has seen: Tim Lincecum versus Roy Halladay. ALCS Preview - Rangers vs. Yankees - In a shocking five game series against the Rays, the Rangers proved that they could beat a superior team on paper, defeat a left-handed Cy Young contender (twice), and win on the road (three times). They may need to do all of those things again in their next challenge, plus one more important task. They need to prove that they can beat the Yankees. NLDS Preview - Braves vs. Giants - Back in March, four out of four Baseball Evolution prognosticators all selected the Atlanta Braves as the 2010 World Series Champions. Richard was the only one of the four who correctly predicted that the San Francisco Giants would make the postseason, and he had the two squads meeting in the NLDS with the Braves advancing in five games. With the Giants entering the postseason as one of baseball's hottest teams, will Richard change his NLDS prediction? ALDS Preview - Yankees vs. Twins - The Minnesota Twins have lost four division series in the past seven years, including nine straight playoff losses and three series losses to the New York Yankees. Those Yankees, however, broke a similar postseason slump last year in a big way, winning a World Series title in their inaugural season at New New Yankee Stadium. Can the Twins do the same in their first season at Target Field? ALDS Preview - Rangers vs. Rays - The Tampa Bay Rays were the best team in baseball's best division, while the Texas Rangers cobbled together 90 wins in baseball's second-weakest division. 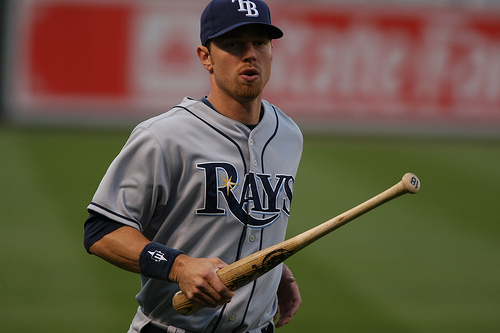 Most of these Rays players come armed with postseason experience, hungry after losing the 2008 World Series. Most of these Rangers have never played in the postseason, and the franchise hasn't won a postseason series in its 50-year history. All signs point to this being an easy victory for Tampa, but the Rangers have surprised all year. Can they continue to shock the baseball world by upsetting the Rays? 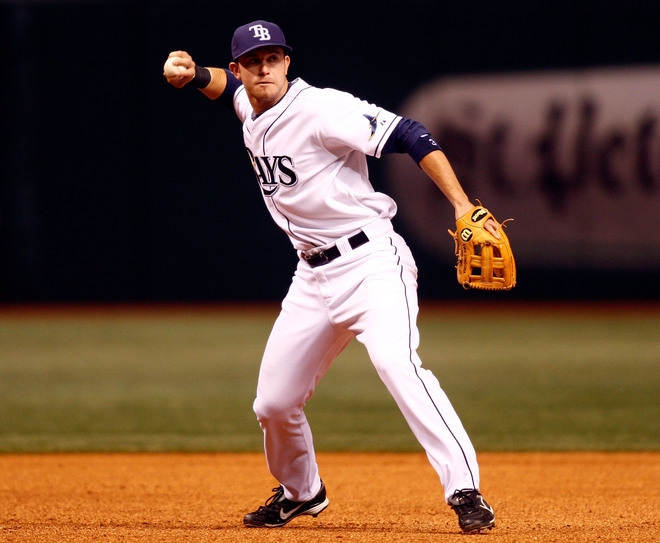 October 5, 2010 - Homefield Advantage - On the second-to-last day of the season, the Tampa Bay Rays used Andy Sonnanstine for just his fourth start of 2010. In their season finale, the New York Yankees went with Dustin Moseley, who made his ninth start and finished the year with an ERA just under 5.00. Jason Bartlett, Derek Jeter, Nick Swisher are among the healthy Yankees and Rays players held out of starting lineups in the final series of the year. Evan Longoria did not play the entire final week of the season because of a minor quad injury. You wouldn't know it from the way they went about their business, but these teams were battling for both the AL East crown and for the best record in the American League. The Rays wound up winning both due to their unparalleled depth and inferior opponent in the Royals, but the alarming development is that neither team tried their best to get home field advantage. This is surprising, since home field advantage has never been more important in Major League Baseball. 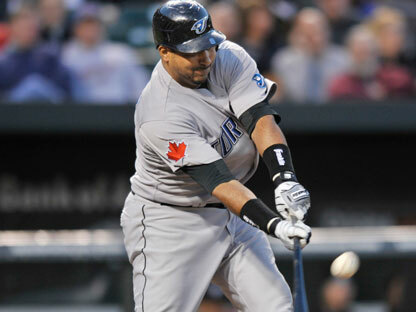 9/30/10: Solo Molina - Something unprecedented is happening with a home run hitter in Toronto. Sure, Jose Bautista is the first player ever to increase his home run total from the previous season by more than 40, having gone from 13 last season to 54 this year. But something equally odd is going on with backup catcher Jose Molina. After hitting a solo home run on Friday, Molina has six homers for the year in 179 plate appearance. That may seem pretty reasonable, but get this: he's only driven in a dozen runs. To drive in 12 runs in 179 plate appearances is pretty terrible, but to do so despite hitting six homers is nearly unprecedented. 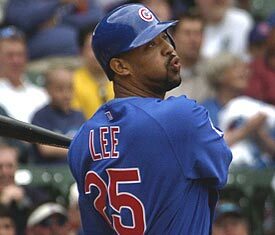 Only eight players in the history of Major League Baseball have hit six homers while driving in fewer than 12 runs, and one was Cubs pitcher Carlos Zambrano in 2006. Of the ten players to have driven in exactly 12 runs while hitting six homers, only two have done so in more than 179 plate appearances. If Molina logs two more plate appearances this season without driving in a run, only one player would be "ahead" of him. 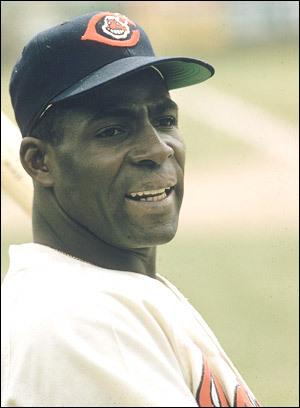 14 more PA, and he would have the most plate appearances ever for a player to hit as many as six homers but drive in as few as 12 runs in a season (passing Jerry Kindall of the 1957 Cubs). Five players have hit seven homers and driven in 12 runs (including Pittsburgh's Matt Clement this year), but each had fewer than 179 plate appearances. It gets even weirder. 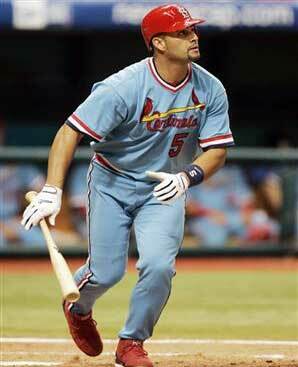 Molina began the season with four RBI before hitting his first home run. So in his last 130 plate appearances, Jose Molina has hit six homers and driven in just eight runs. Luis Medina had six homers and eight RBI for the Indians in 1988, but that was in just 16 games. Molina has appeared in 56 games this year. 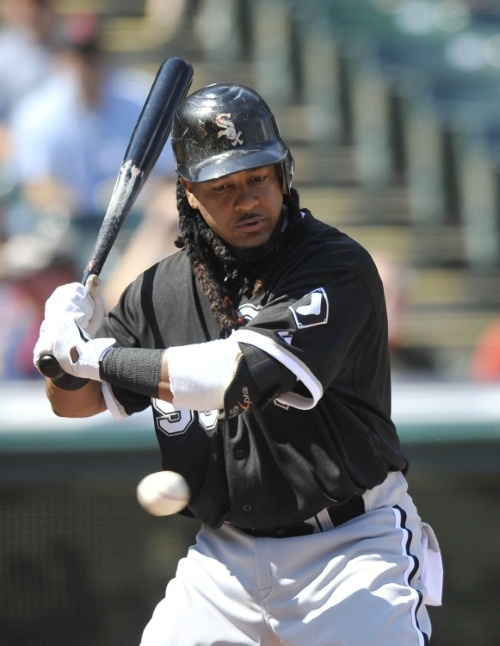 September 16, 2010 - Traded - The Chicago White Sox acquired Manny Ramirez just before the August 31st trade deadline this year. In 13 games since, Manny has failed to drive in a single run and stranded six men on base Tuesday night in the Sox' biggest game of the season, a must-win series opener against the Minnesota Twins at home. For this one month of service, the Sox are paying Ramirez about $4 million, or twice as much as the Twins paid for a full year of Jim Thome. Interestingly, this dud of a deadline deal comes two years after Manny Ramirez became one of the biggest-impact deadline acquisitions in MLB history for the Los Angeles Dodgers. The recently published Traded by Doug Decatur attempts to quantify the most lopsided trades in baseball history, and cautions that trading young prospects in order to make a late-season run at the playoffs rarely pays off. That notion is easy to believe, given that the White Sox did not part with any prospects in acquiring Manny Ramirez and still failed to benefit from that deal. Nevertheless, a closer examination of the methodology and findings of Traded is in order. 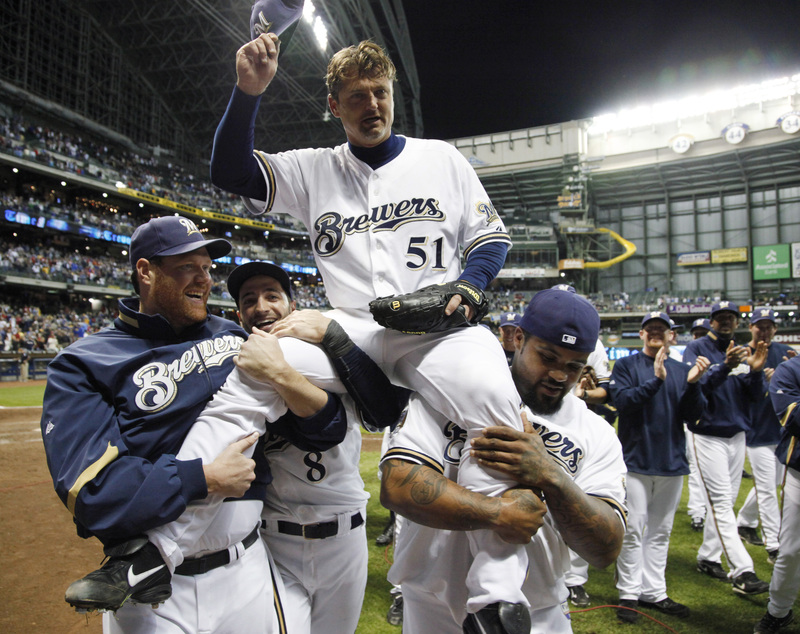 9/7/10: First to 600 - Trevor Hoffman became the first player in Major League Baseball history to reach 600 career saves by notching the final three outs in the Brewers 4-2 win over St. Louis. Hoffman, who turns 43 next month, gave up a leadoff single to Colby Rasmus but got Randy Winn to hit into a double play and then retired Aaron Miles on a grounder to short to secure the milestone achievement. It was only his ninth save of the season, as the future Hall of Famer began the year with an 11.65 ERA through his first 18 appearances and lost his closer's job to rookie John Axford in early May. 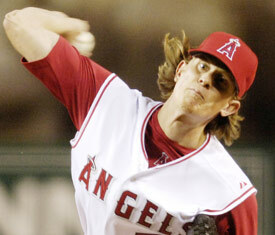 "I was a player who was questioning if I had enough to get things done," Hoffman told the Milwaukee Journal Sentinel. He has rebounded in a big way, however. Since the first of June, Hoffman has a 2.63 ERA in 27.1 innings, including four saves in four chances. Opponents have slugged .287 against Hoffman in that span. Mariano Rivera (555) and Billy Wagner (417) are the only active relievers with as many as half the career saves that Hoffman boasts. Rivera turns 41 in November and Wagner has indicated that he will retire after this season, but both closers are enjoying seasons that rank among their best ever.